Growing up in a flood-prone hut in Kenya, due west of the war in Somalia that her parents fled and 7,669 miles southeast of her eventual home in Buffalo, Habiba Mohamed didn’t dream the way most kids dream. A young teen at the time, she looked after her younger siblings while her mother worked. She waited for water and food rations just like everyone else in the Dadaab refugee camp. She never imagined joining a wider world because she didn’t know it existed. “You can’t be what you can’t see,” Mohamed, now 24, noted this week. newsisnideSo she could never dream of the moment she lived Tuesday night. She could never dream of meeting the House speaker. She could never dream of looking down on the floor of the House chamber and seeing her boss, who’s running for president. And she could never imagine looking on as President Donald Trump – who tried to keep Somali refugees on the far side of the Atlantic – delivered his State of the Union address. 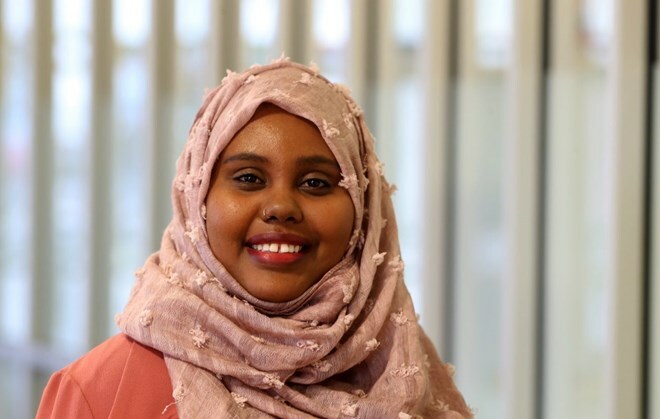 But Habiba Mohamed’s longer story reveals the full, enduring state of the union –– a country where a young outcast from another continent can still become a fully American success story in a decade. “I could barely write my name,” she recalled. The oldest of six children, she had to learn, and fast. She had to translate for her family, so she focused on her studies at Buffalo’s School 30 and headed off to the library when she was done. Doing so, she developed a passion for reading. And by the time she finished her high school years at the city’s International Preparatory School, she ended up in advanced placement English. She went off to D’Youville College to major in nursing, only to nearly faint one day when she started to see what nurses really see. So she switched majors to sociology, all the while pouring herself into school and community activities. An internship with Journey’s End Immigration Legal Services and a stint as an Upward Bound tutor for high school students stoked her interest in public affairs, and that led to an internship in Higgins’ office in the fall of 2015. Meantime, Mohamed quickly became “an office favorite,” Higgins said. After her internship, Mohamed worked for Journey’s End, but she longed to get back into government. So when Sen. Kirsten E. Gillibrand, a New York Democrat, went looking for a regional assistant in her Buffalo office in 2017, Mohamed applied and – with a glowing recommendation from Higgins – got the job. Now she’s doing the same sort of work helping average citizens that she did in Higgins’ office, only on a larger scale, across six counties. And she’s still loving it. “I believe government works for the people,” she said. Once Mohamed’s family arrived in America, it thrived. Her parents worked and saved money and bought a home. Her eldest sister graduated from college, and her eldest brother seems likely to head to the University at Buffalo. Mohamed said all her younger siblings are doing well in school, too. In other words, they’ve all come a long way from that brick and clay hut in Kenya. That being the case, Higgins wanted Mohamed to be in Trump’s audience Tuesday night, as a symbol and an example.